How do I know when my garage door needs a repair or needs to be replaced? A garage door is the largest moving object in the home that is often operated by electric garage door openers. Proper installation, operation, maintenance and testing of the garage door and electric garage door opener are necessary to provide safe, trouble-free operation. An improperly adjusted garage door or garage door opener can exert deadly force when the door closes. • My door squeaks when it opens and closes. Springs, rollers and hinges can squeak and be noisy. This is caused by normal use and does not necessarily indicate a problem. Before calling a professional service technician, use a spray-on lubricant . If the noise persists, call a professional garage door installer for service. • When I push the button on my garage door remote, the garage door doesn’t open. This could be due to several issues. The most common is that your garage door remote may need the batteries replaced. Or your spring(s) may be broken. Please consult your local garage door dealer for help. Garage door springs, cables, brackets and other hardware attached to the springs, are under very high tension and, if handled improperly, can cause serious injury. Only a qualified professional should adjust them. 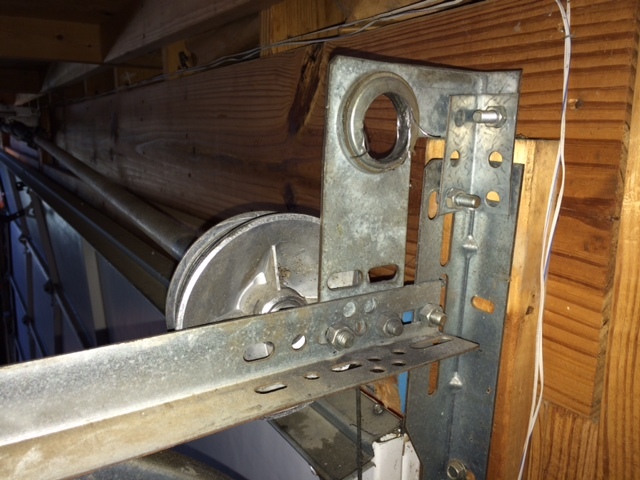 The torsion springs (the springs above the door) should only be adjusted by a professional. Do not attempt to repair or adjust torsion springs yourself. This end bearing plate failed because it was never oiled . The shaft was completely cut. These should be changed when the torsion springs need replacing if they have not been maintained. Oil at least once a year to prevent failure. 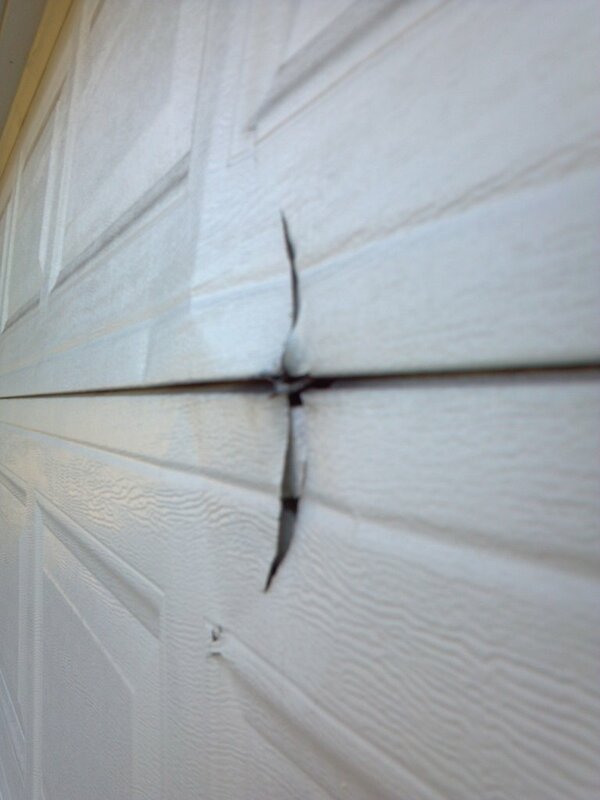 On garage doors a small crack in the metal section from a dent can grow larger and weaken the section. A visible sag will appear and when it gets bigger a popping sound will be heard when closing with the opener.